2008. 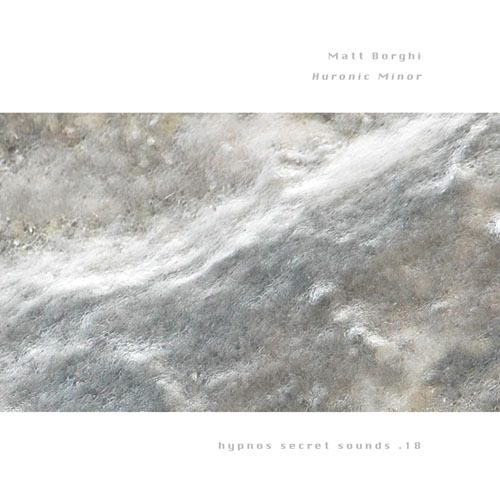 We here at Hypnos have long enjoyed Matt Borghi's subtle atmospheric ambient music, and believed it deserved more attention. Many of Matt's CDs are out of print, and we've agreed to re-issue a series of our favorite recordings on the Hypnos Secret Sounds imprint. The first of these Matt Borghi reissues will be Huronic Minor. Simple, restrained, and artful, these recordings deserve to remain in print, and we hope these reissues will help introduce more of today's ambient music listeners to the work of this important artist. "...drifting ambient music par excellence. Matt's forte is similar to that of Stephen Philips' - the ability to meld subtle synthesizer shadings and drones into mesmerizing cloud-like tone poems. I never got bored with this CD, although if a non-ambient fan would listen to it, he or she might think the sound was monotonous. But that is true ambient music¹s appeal. A startling shift of abrupt change calls attention to the music, thereby making it "non-ambient." Huronic Minor is that rarest of ambient releases, i.e. a joy to listen to in silence and be consumed by or equally effective played softly in the background as a sonic antidote for one's own confused or stressed out world so to speak. However one listens ton this highly recommended recording, the CD¹s worth and artistry are unmistakable. Added recommendation emphasis if you live near the Great Lakes or a fishing port on the Atlantic Ocean." 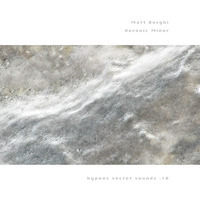 " Borghi has crafted a superb collection of dark drones, bruised wanderings, and ravaged ruins, glimpses of a psyche's attempts to deal with nightmarish realities. This is rainy-day fog shrouded doom-cast netherworld music. Fans of Roach, Robert Scott Thompson, 1980s Robert Rich "sleep tunes," and all such "melting brain" music will enjoy this! Recommended release."